As much as we love makeup and skin care, we also understand the value of starting from the inside out when it comes to looking beautiful. More and more products are coming out that aim to do just that by delivering all the vitamins and minerals you need for glowing, clear skin. If you’re opposed to popping vitamins every morning, then try a powder-based form that can be mixed in with your water. 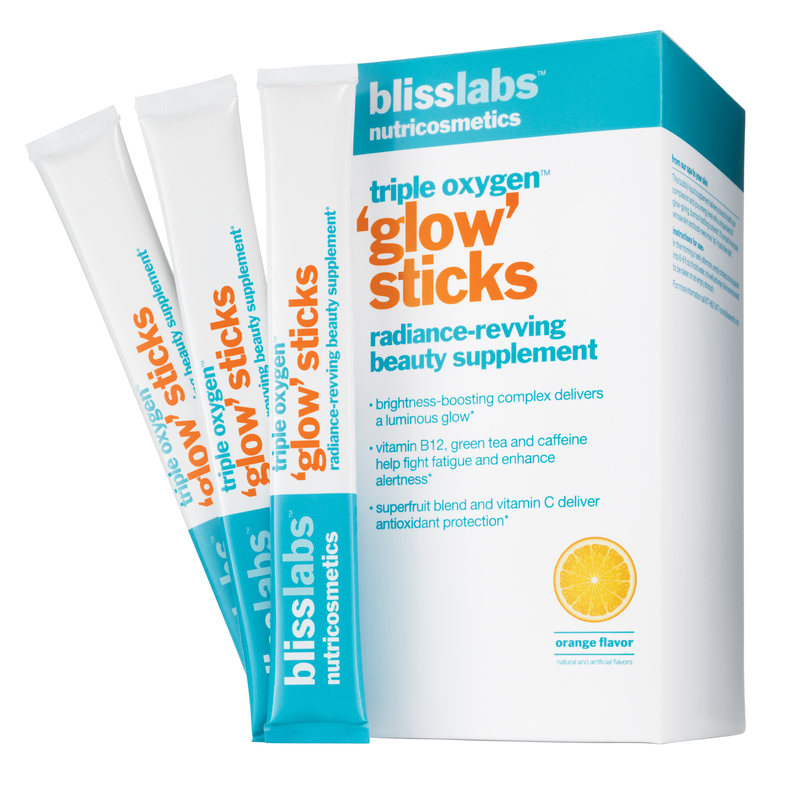 Blisslabs Nutricosmetics Triple Oxygen Glow Sticks ($48, blissworld.com) offers an orange flavored add-in for water that contain as vitamin C and superfruit blend, as well as a brightness-boosting complex that gives skin a healthy glow. Skinny Girl Vitamin Power Packets for Hair, Skin and Nails ($15.09, evitamins.com) are berry-flavored packets that can also be added to your water bottle. Biotin and collagen help to keep hair and nails strong, while making skin luminous. While many juice companies offer detoxes and cleanses, we prefer the less extreme method of leisurely drinking juices targeted toward making our skin look its best. Liquiteria offers Skin Trip ($8, liquiteria.com), a blend of aloe vera, which hydrates from the inside out, and a liver kidney detox, which helps to activate the system for glowing skin. BluePrint will soon be offering a Kale/Apple/Lemon juice. Kale, of course, is packed with tons of anti-aging antioxidants such as vitamin A, C and E, and the apple helps to purify, brighten and tone skin. Are you open to trying beauty supplements?